Mexican Bird of Paradise is native to Northern Mexico. 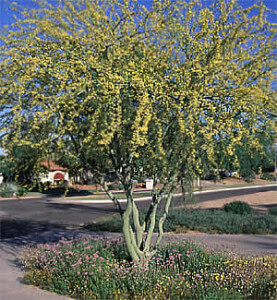 Its lush, ferny compound leaves provide a dark green backdrop for the bright yellow flower spikes that appear on the branch tips during the warm season. These flowers are followed by woody pods, which "explode" as they mature, adding a little bit of natural music the outdoor environment. This plant grows fairly rapidly 10-15 feet tall and spreads to 15 feet wide. The Mexican bird of paradise can be grown as a small tree or pruned to keep it a shrub. Plant Mexican bird of paradise in the fall in full sunlight exposures for best establishment. 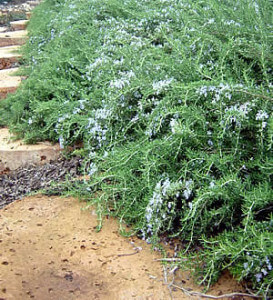 This large shrub is evergreen in mild climates, but where frost occurs, it will shed foliage. 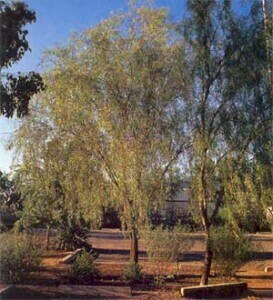 Although extremely tolerant of sun and reflected heat, it requires good drainage to thrive. 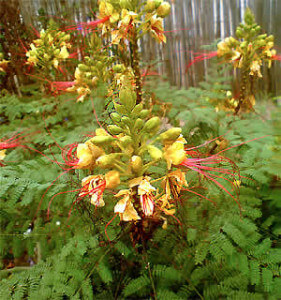 Established Mexican bird of paradise plants require little water. 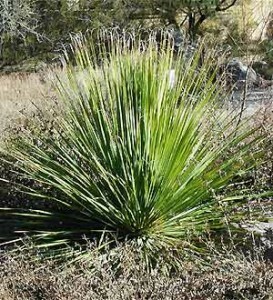 Mature plants may reach a height of 15 feet tall. Regular pruning will help control size.